The weather in NYC is impossible to predict, it seems. The sunny, 70 degree Friday afternoon when I made this shirt has since given way to ice rain as I write this. Boo! Luckily, peplums never seem to go out of season! Layering is key in the fall and winter, particularly around the holidays when you could find yourself sweltering next to a fireplace. 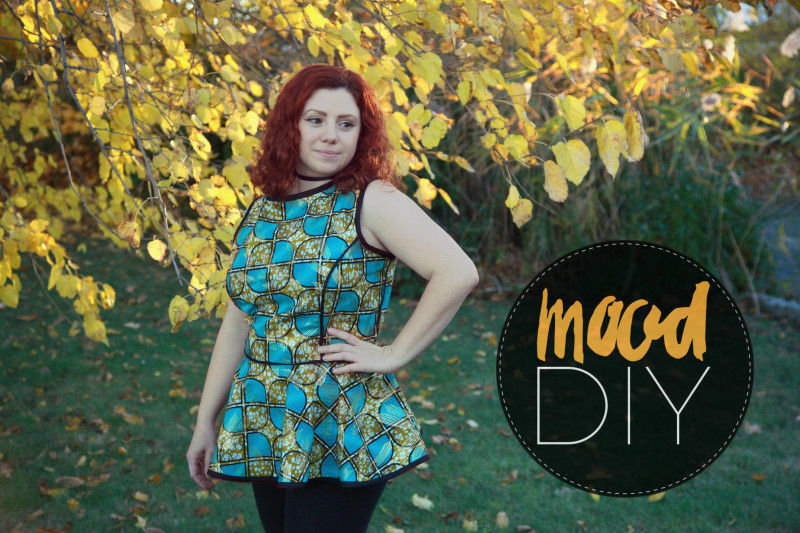 The McCall’s dress pattern is listed as optional because any bodice pattern with princess seams will do the trick! For my shirt, I cut out View C (with no center seam) just down to the waistline. 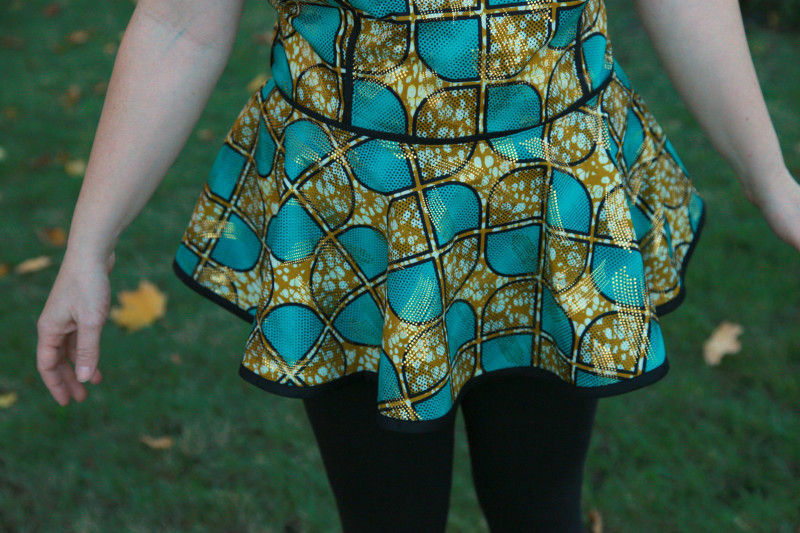 For the peplum, I essentially made a tiny circle skirt with the template below. 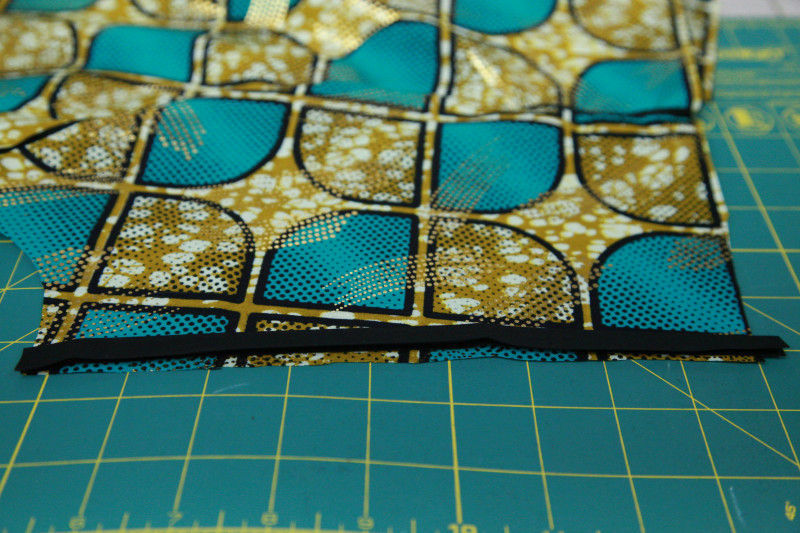 If you’ve never made a circle skirt before, fold your fabric in half along the weft and then again along the warp. One of your corners should have folds on either side, place that one at the top left. From that same corner, you should cut a small circle with an equal radius all the way around. To find yours, divide your waist size by 2(3.14). 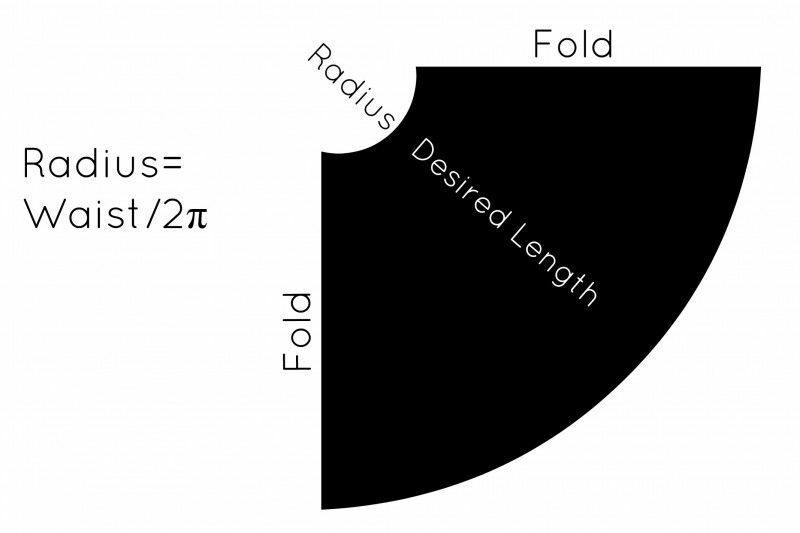 For example, a 31″ waist will require a 5″ radius. Once your radius is measured and marked, you can draw the bottom curve of your “skirt”. 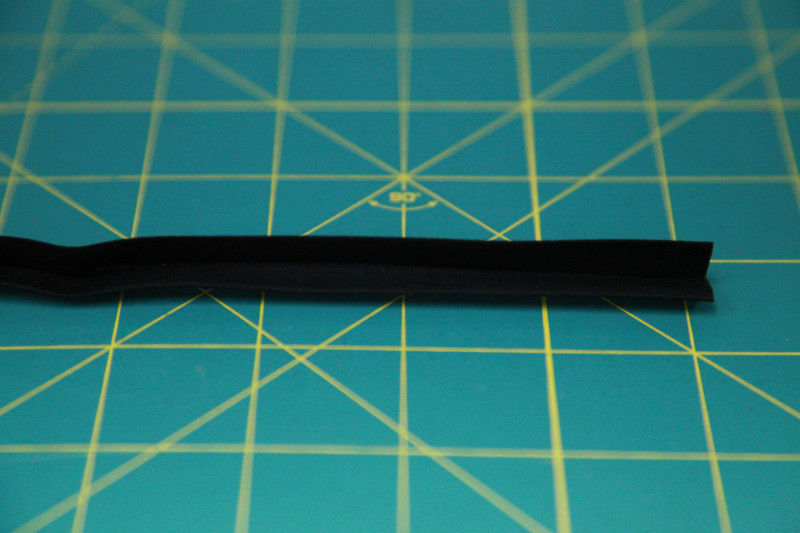 Since it’s just a peplum, I made my desired length about 10″ from the radius. Once everything was cut, it was time to pin! 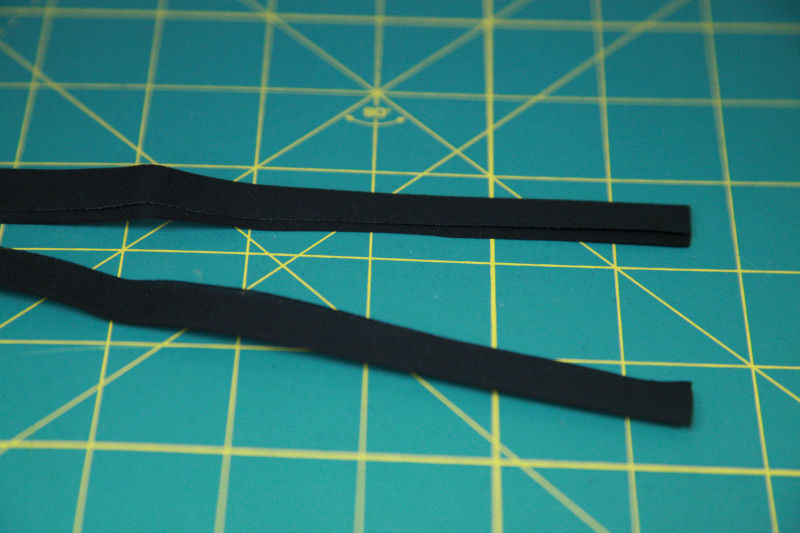 To keep some of the bulk down, and to use the least amount possible, I cut the bias tape down the middle. It was then placed between each seam, with the exception of the shoulders. 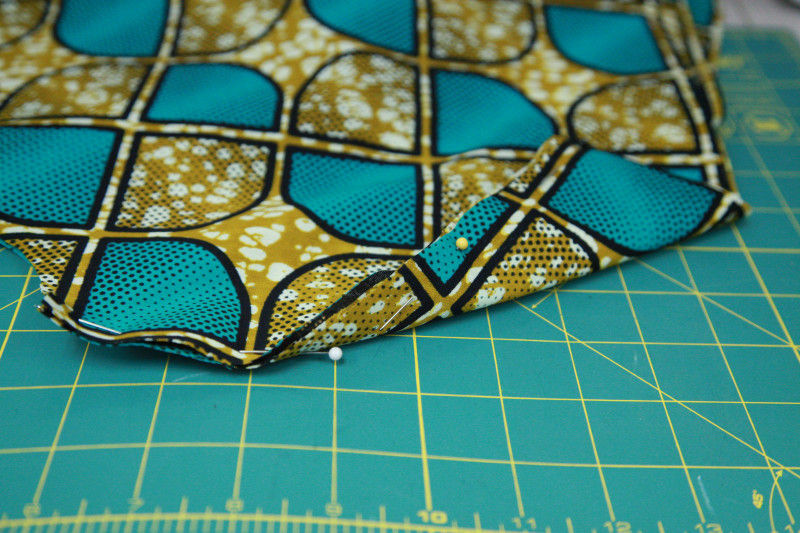 Once it was pinned between the fabric, it went through the machine normally with a 1/2″ seam allowance. 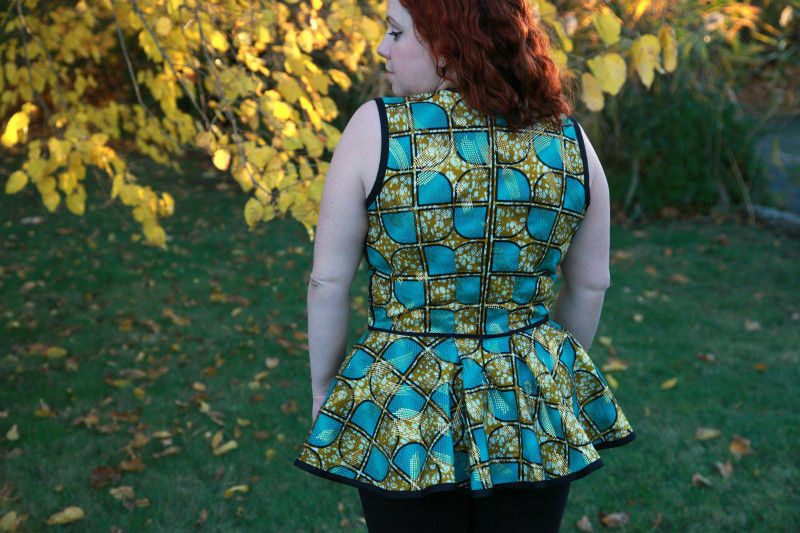 The peplum was added last and the remaining raw edges were bound with the folded bias tape. 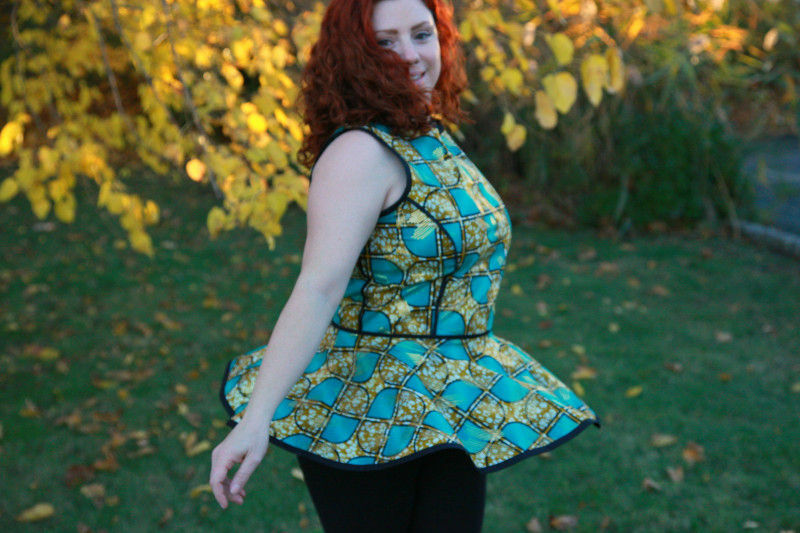 Finished, it’s a fun and bouncy top that can be worn and styled for a plethora of occasions. 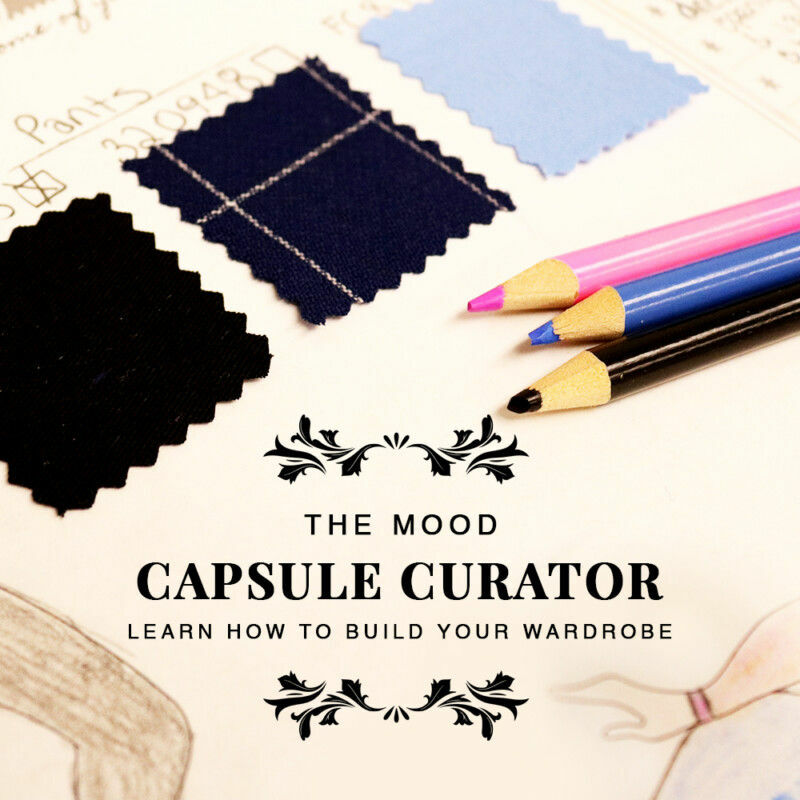 Plus, it can be made out of so many different fabric types! What are you going to make yours with?